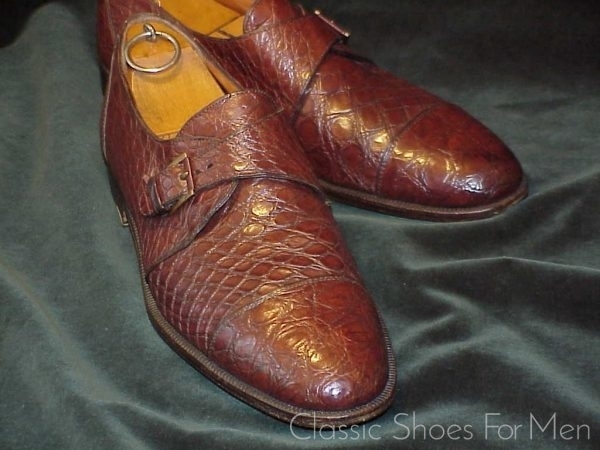 Zusammen mit Testoni und Moreschi ist “Salvatore Ferragamo” die italienische Edelmanufaktur für handgemachte, traditionelle Schuhe. 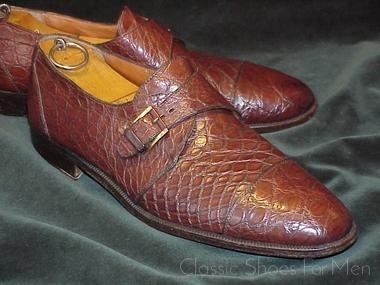 Ferragamo setzt die alte Tradition handgemachter Schuhe fort, unter der Benutzung feinsten Kalbsleders. 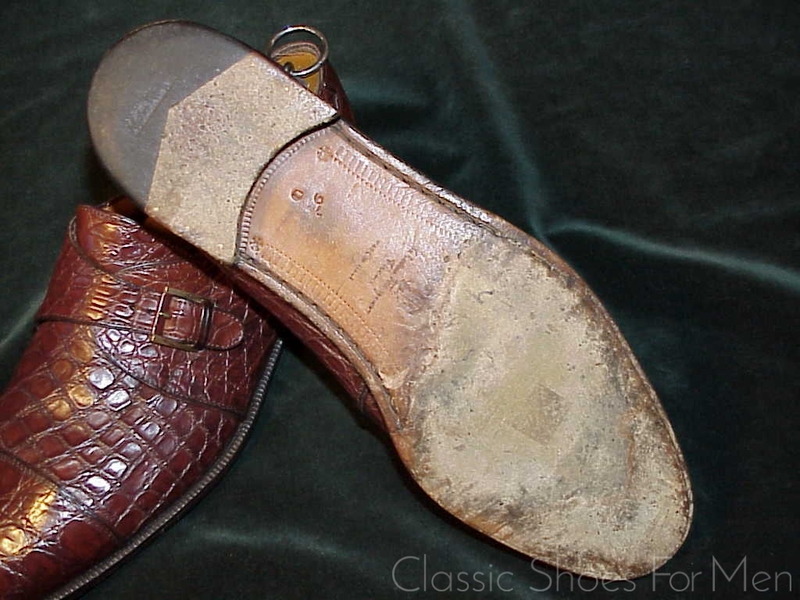 Orginal-Sohle und Absatz sehr leicht (kaum) getragen. 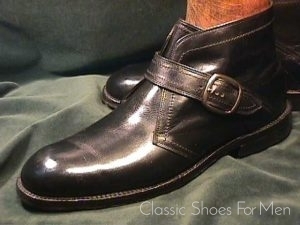 This is a charming, relaxed and most attractive Monk by Ferragamo. 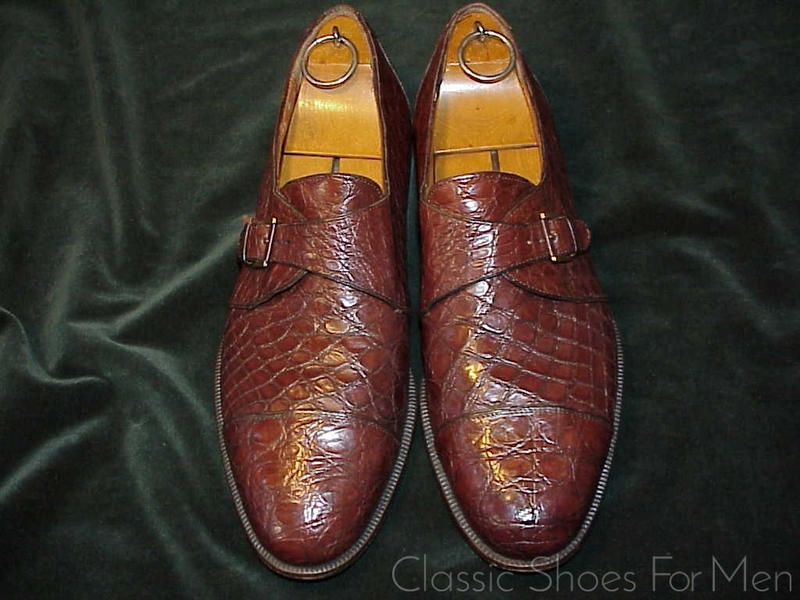 Monk Strap Shoes are very much in the English taste, an aristocrat’s shoe from the old school, but have penetrated the consciousness of Continentals and North Americans alike over the years. 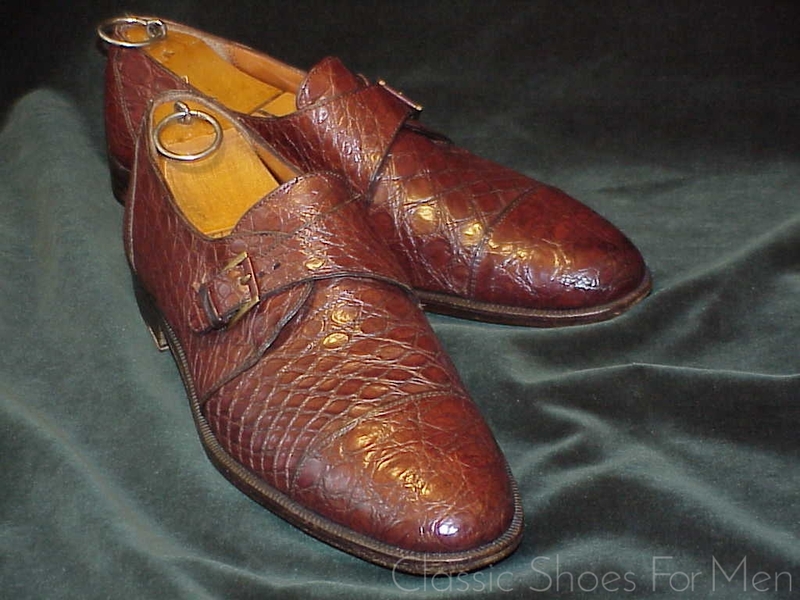 Unlike this cap-toe monk, most Monks are plain fronted, but all afford an elegant, steam-lined look suitable for all but the most formal dress, and punctuated with the insouciance of a discreet buckle, they proclaim the independence of the gentleman from conservative convention while observing the proven dictates of tradition. This alligator version of this traditional shoe takes the medium to its logical and luxurious extreme. 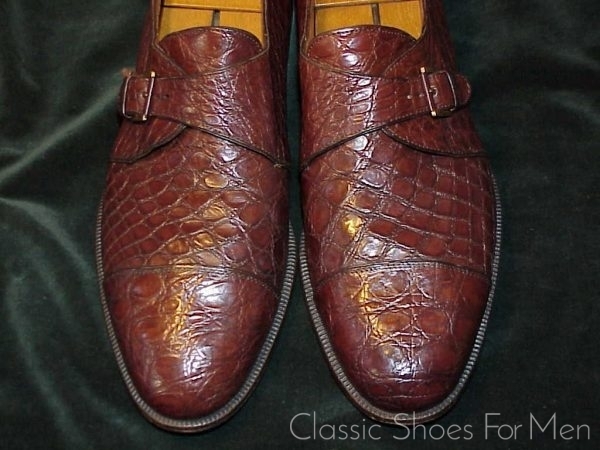 A beautiful shoe and moderately priced considering its 2000 Euro store price. A word about SALVATORE FERRAGAMO: Born in Naples, Italy, in 1898. He made his first pair of shoes for his sister at the age of 9. 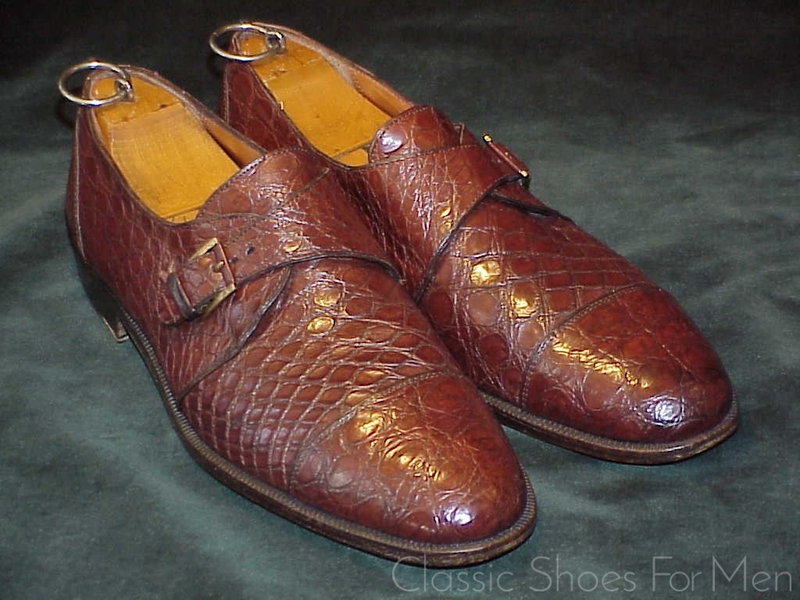 His parents were poor farmers and could not buy shoes for his sisters to go to church for their first communion. Salvatore borrowed materials from the village cobbler and made them himself. 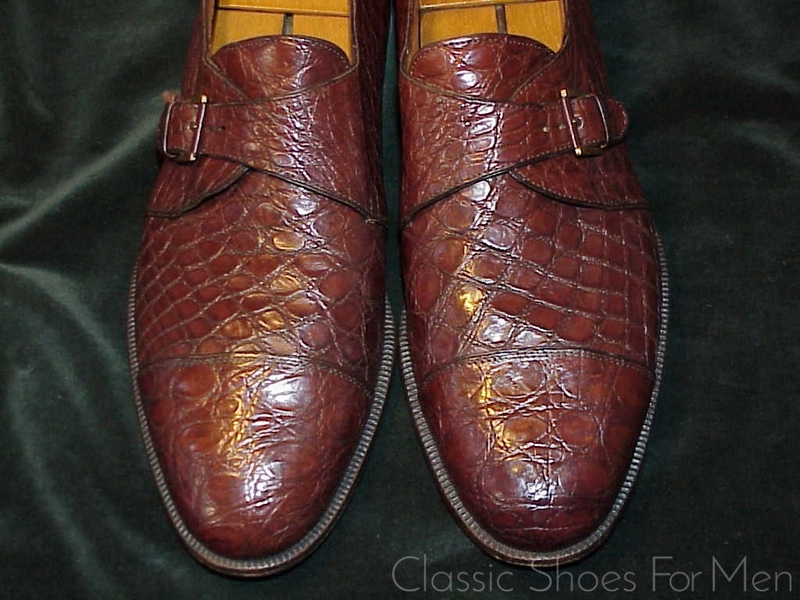 At age 14 after studying shoemaking in Naples, he opened his first shop with 6 workmen. 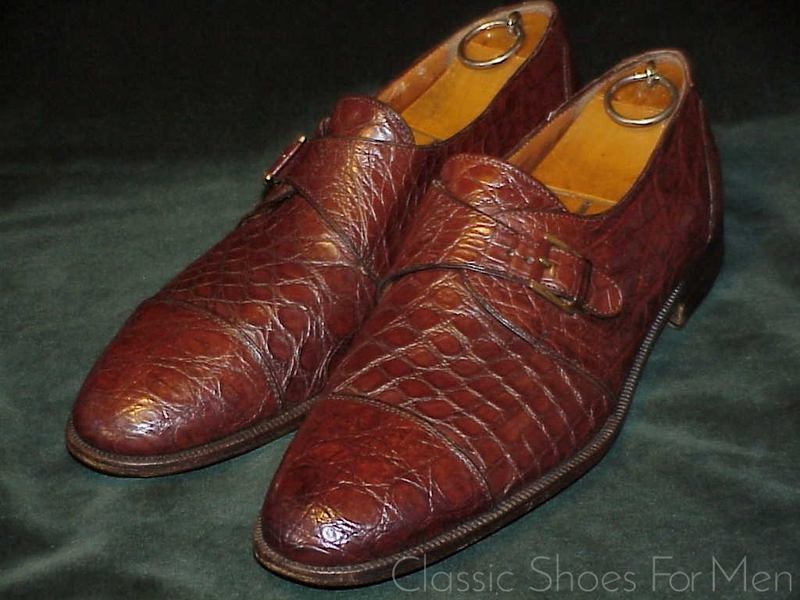 Yet more amazingly, at the age of 16, he moved to California and opened a shoemaking shop in Santa Barbara! 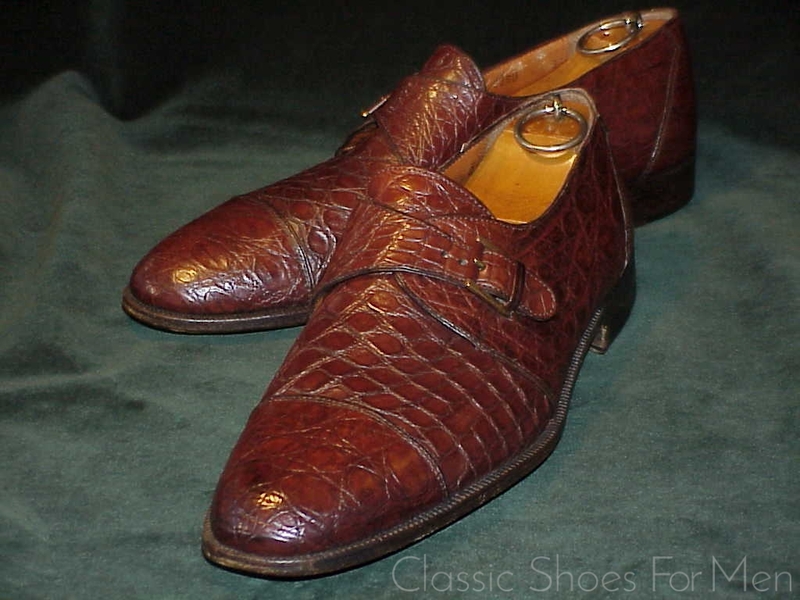 Unsatisfied with the beautiful but uncomfortable shoes of the era, he studied anatomy at the University of Southern California. 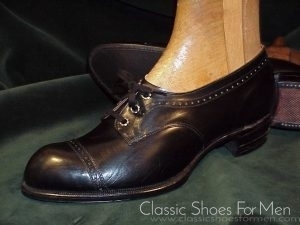 After some experimentation, he perfected the steel arch support that he inserted into the instep of every shoe. Soon he relocated to Hollywood, where for more than 30 years he shod the whole galaxy of film stars from Lillian Gish in the silent era to Marilyn Monroe in more recent times. 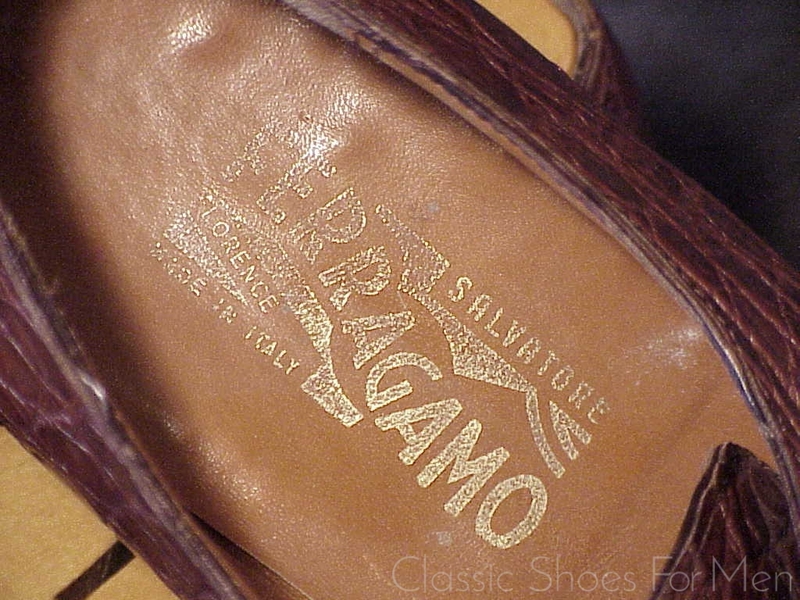 Greta Garbo once purchased 70 pairs of shoes in one visit to Ferragamo’s shop. 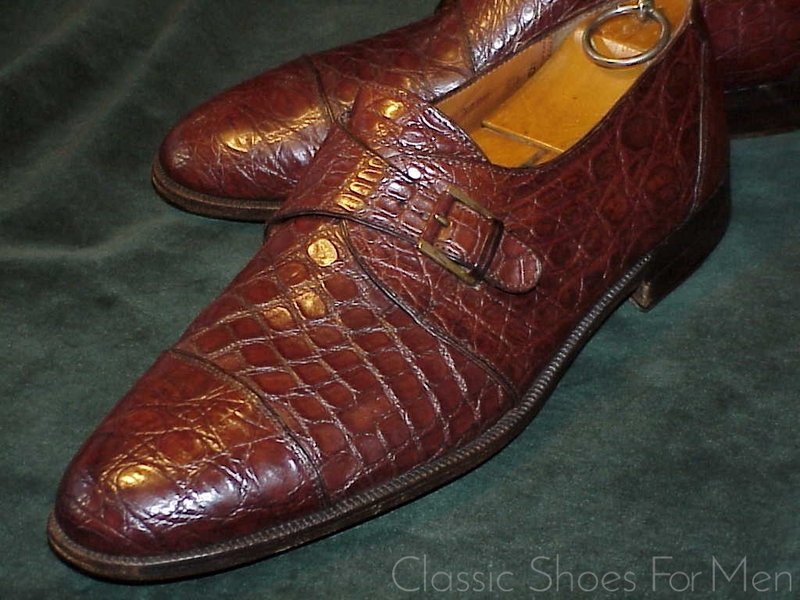 His beautiful shoes filled the pages of the world’s top fashion magazines and the firm expanded tremendously into prêt-a-portez with predictable compromises. 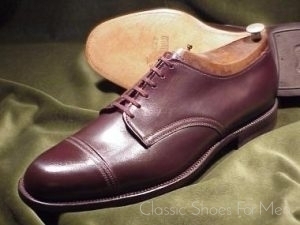 Nevertheless, in the Ferragamo firm’s “Studio Line”, their hand made, limited production, top boutique offering, his successors honour the great tradition of the old master, Salvatore, who is now cobbler to the angels. 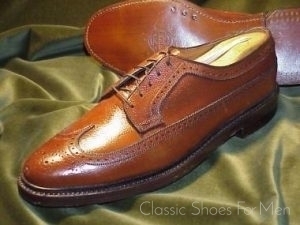 US 9,5D, UK 8,5E, Continental 42.5D, for the medium width foot. Superb; Original sole and heel very slightly worn, near new.